Lava refers both to molten rock expelled by a volcano during an eruption and the resulting rock after solidification and cooling. When first erupted from a volcanic vent, lava is a liquid at temperatures from 700 to 1,200 °C (1,292 to 2,192 °F). Up to 100,000 times as viscous as water, lava can flow great distances before cooling and solidifying. A lava flow is a moving outpouring of lava, which is created during a non-explosive effusive eruption. When it has stopped moving, lava solidifies to form igneous rock. The term lava flow is commonly shortened to lava. 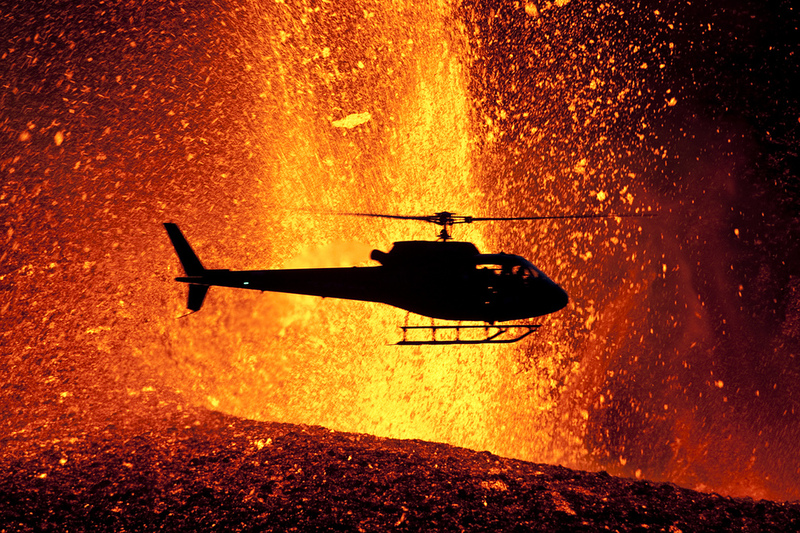 In general, the composition of a lava determines its behavior more than the temperature of its eruption. To learn more about lava, head over to Wikipedia for a review of different types of compositions, behaviours and landforms. Below you will find a remarkable gallery of lava from a group of amazing photographers that braved the heat for these incredible shots. Many of the images are from lava hotspots such as Iceland, Italy (Mount Etna) and of course, Hawaii. Enjoy!